With online video becoming a ubiquitous application for sales and marketing efforts, many companies have realized the importance of having high quality video content on their websites for customers and prospects. By the same token many sales and marketing professionals have realized that the real objective is not just to post videos on their organization’s website. For sales lead generation, using videos that lead to tangible and measurable results is the thing that really matters. 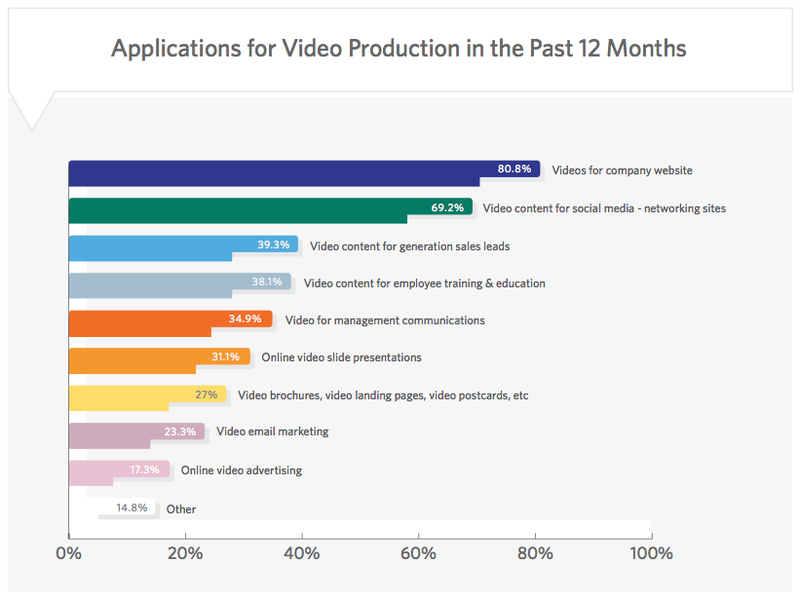 According to research findings from Interactive Media Strategies almost 81% of companies surveyed report that they have posted videos to their website in an effort to provide information about the company and its products and services. One would expect that that the number of video views on companies’ websites would be an important and relevant measurement of a firm’s video initiatives. 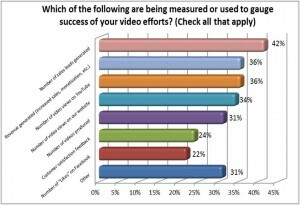 That turns out to be the case, with 34% of survey respondents saying they track the number of video views as a measure of success. 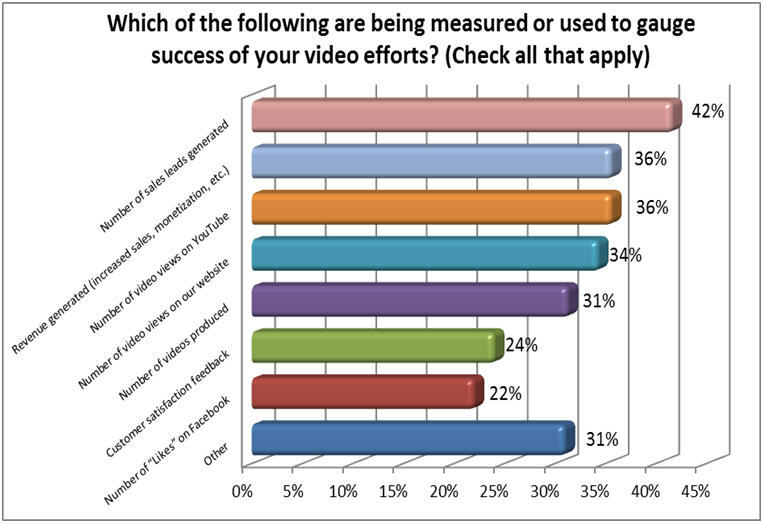 However, it is interesting to note that even more survey respondents indicated their organizations were measuring the number of sales leads generated from video content on their website, with 42% saying that sales lead generation was a significant metric for gauging success (the top rated measurement factor among the options listed). This finding reveals a couple of interesting insights and points to consider. First of all, the capability to be able to track and measure the number of sales leads generated requires a certain amount of technology and analytics that cannot be achieved by simply creating a video and posting it on YouTube. Effective sales lead generation requires the ability to (1) garner the attention of a prospect and keep them engaged for a sufficient amount of time to get the desired point across and (2) motivate them to take some type of action to provide a means to follow up with them such as by providing their phone number or email address. Video content that can be presented in a manner that engages and motivates prospects to request more information or to enable some form of follow up by the company presenting it is exactly the type of content that is required for truly effective sales lead generation efforts. Stay tuned for more postings where recommended tactics and best practice examples for video lead generation strategies will be highlighted in the weeks ahead. Video Email Communications: Is Email as We Know It Coming to an End?